As the first female head of the Tate museums, Maria Balshaw CBE has said we are "in a positive and generative moment" for women in the arts. Ms Balshaw, 48, made history last summer by taking over as director, succeeding Sir Nicholas Serota. In a sector where women are woefully under represented, her appointment is a significant move in the art world in redressing the balance and increasing diversity in the arts.Ms Balshaw accepts the imbalance but insists this is a time of positive change. "When I did art at graduate level you had to look hard to find a woman artist on the walls of any gallery anywhere. Now we have a woman Turner Prize winner... We (at the Tate) strive to tell a more diverse art history," she told Sky News. "We've seen shifts in the last 20 years and we are in a positive and generative moment." Blockbuster exhibitions like Picasso are the ones that attract millions to the Tate - making it the second most popular attraction in the country.So while space is being made for sometimes less famous female artists, it's going to take some time to tip the balance of centuries of art history.And it's not just the artists on show. 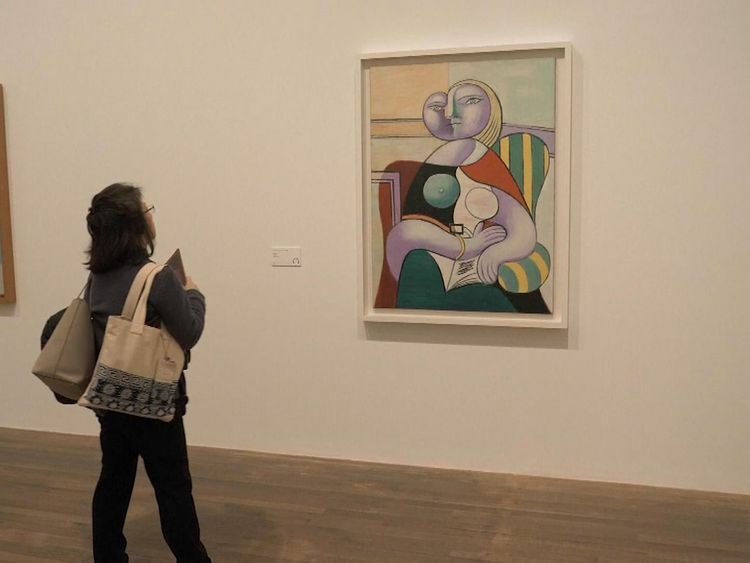 Pressure is on arts institutions to reduce ticket prices to broaden the diversity of visitors.Only half the UK population visit galleries and the majority of museum-goers are older, white and middle class, so although tickets for the Tate's current Picasso 1932 exhibition are a whopping €22, there are cut-price tickets to attract young people. "We know how expensive it is to live in London as a young person... and wanted to address that," Ms Balshaw said of the €5 tickets available for young people. Ms Balshaw admits the Tate's "major exhibitions have often been out of the reach of young people", but explained the conflict between making art a "right for all" and budgets. 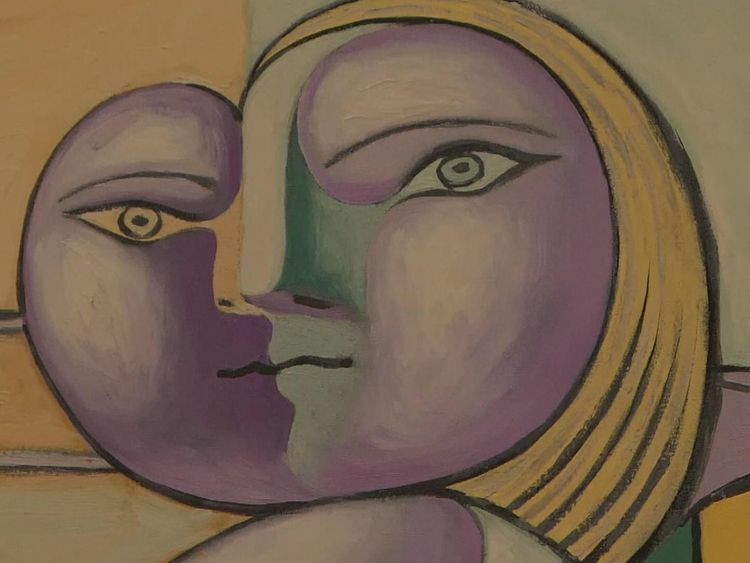 "To make an extraordinary exhibition like Picasso 1932 is an enormously costly business," Ms Balshaw said. "The financial pressure that we're under means we can't make them free for everyone. "For us there is always a balance between making sure we are commercially viable, but at the same time really wanting to offer the collection to people because it is the public's collection, it is their right to see it. "When asked how the Tate plans to navigate the changes Brexit will bring, Ms Balshaw is adamant that it will be business as usual. "The Tate is an international institution, we are a good example of how culture connects us across the globe, so the political situation won't change that," she said. "I met museum colleagues across Europe and they were all interested in how we can all connect better... access to global talent pool... so it's a necessity to keep the cultural borders open." Ms Balshaw is one of 12 high-profile British figures hired by the National Geographic Magazine as a guest editor this month, exploring the concept of what makes a genius in the edition, which is now available.Picasso 1932 - Love, Fame, Tragedy continues at the Tate Modern until 9 September. » Turner Prize winner revealed: Who was your pick?